I am a 42 year old Administrative Officer from Adelaide, Australia who loves traveling to the World’s Theme parks and Animal parks. My daughter A.J is almost 10 years old and my Dear Husband (DH) is in his early 50’s. We love visiting theme parks together and have been doing so for many years. We started with the Gold Coast Queensland theme parks like Movie World, Sea World, Wet n Wild and Dream World. In 2015 we traveled to Disneyland in Anaheim, 2016, Hong Kong and Tokyo Disneylands, 2017 we visited Singapore. In 2018 we visited Walt Disney World. Individually we have also traveled to New Zealand, England, Scotland, Wales, Hawaii, Fiji, Mexico and Greece. My hopes for this blog is to display some of our travel photos and share some insights/trips/ways to save time and money travelling. I don't know about you, but I do a lot of planning with my holidays. I borrow heaps of guide books from the library (Birnbaums official guides/ Sellinger's Unofficial Guide Disney Guides /Frommers / DK Guides/ Lonely Planet guides) purchase travel guide ebooks from Amazon, ask a lot of questions on Tripadvisor.com, consult with other Disney fans and search endlessly on the internet on best ways of doing things. In the end, I write everything into one small Notebook, which I take to the parks (and everywhere else). The Notebook was the beginning of this entire website. I found every tip I received, was not replicated in every guidebook! And some were only found on Tripadvisor -in answer to my endless questions. So my Notebook became a great summary from multiple sources. And yes, I do take the Notebook to all the Parks- it is lighter then carrying the original guidebooks! On our first trip to Disneyland in 2015, I didn't know what to expect with the rides, so yes, every ride was written about, such as what to expect, rated a score, notes on how scary it might be and why (for my daughter) and some interesting trivia about the ride. This helped also pass the time in line! My notebook also included where to eat (and not eat!) and other tips (mainly about Downtown Disneyland). 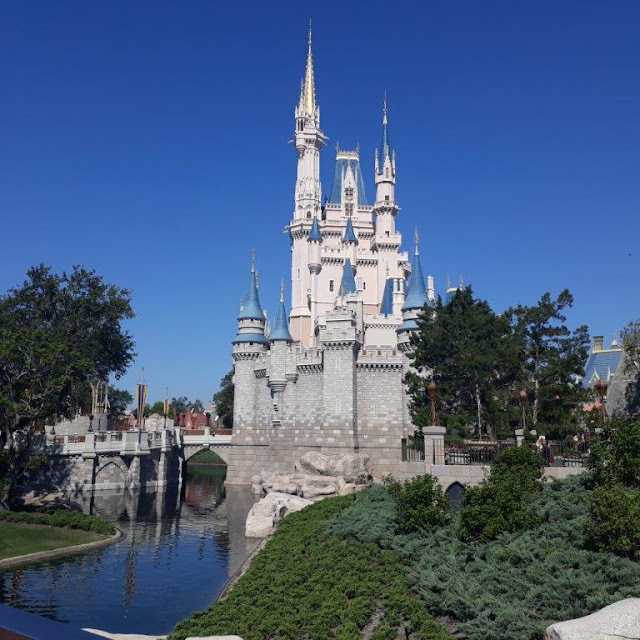 Of course, there are only a limited number of Disney Parks in the world, and we hope to visit them all someday, but we have expanded the scope of this blog to include Universal Studios and Animal/Nature Parks. Animal and Nature parks, which are of course endless in number are also really nice places (usually) to visit. My interest in theme parks began when I was 5 years old and my grandparents in their 60’s at the time, went to Disneyland Anaheim (without me!!) on a bus tour of California. I did get a few souvenirs like a Mickey watch and some plush soft toys at the time which I was overjoyed with. However, my 2 year old brother broke my prized Mickey watch which was devastating to my five year old self and I never saw the watch again. I used to love looking at my grandparents Disneyland photos (slide projector nights) on how clean the park was and hearing about how they went on these great rides (no roller coasters for them) and had such a fabulous time. However, what I really wanted as a child was to go and experience Disneyland in person. I had heard so many great things about Disneyland, loved hearing about the rides, watched the weekly Sunday ‘Walt Disney Presents’ television show and loved all the movies. This sat on the back burner for a number of decades, and our family finally made the trip in 2015 to Disneyland Anaheim. It was everything I dreamt as a kid and more. Ever since, we have all been hooked and Disneyland has a special place in all our travels. To those who have yet to visit any of the Disneyland parks, it really is a place like nowhere else, and the outside world is left far far behind. There is total immersion in rides, pure escapism, and once you are in a land, you cannot see anything other then that land itself. All other areas of Disneyland and indeed the outside world, are hidden from view and this was done deliberately by Walt Disney. Primarily, though, the place is so much FUN. The rides are pure FUN. I also love and adhere to Walt Disney's mantra "If you can dream it, you can do it" which for most of our travels - we did just that! We are unsure where we will visit next in the world so stay tuned! I hope the photos within this blog inspire your future travels and that you find the written content helpful with travel planning. As a post script, My Grandma passed away in May 2018. Strangely we discovered my 93 year old grandmother had kept my old broken Mickey watch in a jewellery box unbeknownst to anyone. There is no wrist band. Just the watch face. It is a bit of a mystery why she kept it all those years but I like to think that the spell of Disneyland hooked her too and she couldn’t part with it either, despite the watch not working! Hey! We're supposed to be going to Japan next year - and looking forward to a trip to Disneyland! Japan is fantastic. Please make sure you read both my Tokyo Disneyland and Tokyo DisneySea pages. Tokyo DisneySea is totally unique and immersive. I really wondered what country I was in! Thanks so much for your kind comments. I am glad you have found the tips helpful and enjoyed looking at the photos.